When we moved into Old Salt Farm we had couches for our family room, but I’ve been wanting to add a few more things into the room to give it more seating space and overall coziness. 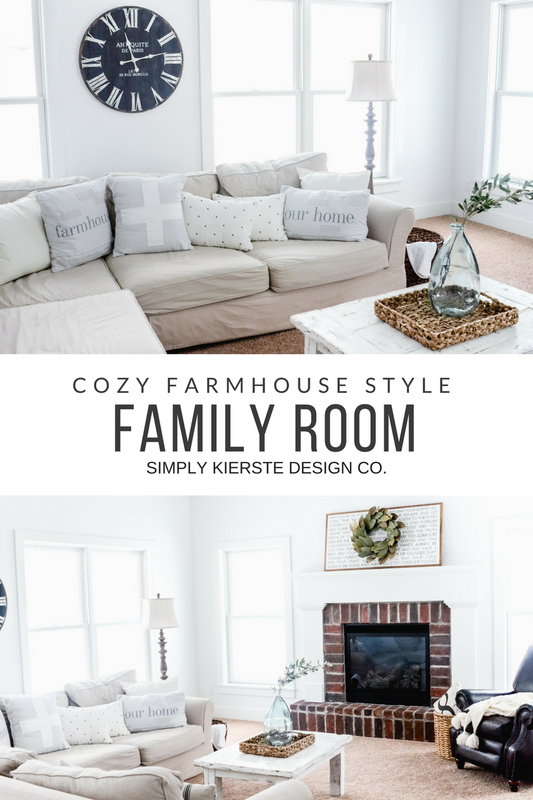 I really love the end result, and I’m excited to show you my Cozy Farmhouse Family Room! 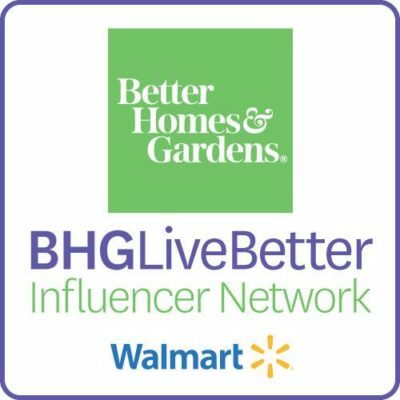 This post is sponsored by Better Homes & Gardens & Walmart. As always, my opinions about their super cute products are 100% mine. The floor plan of the space is great in some ways, and challenging in other ways, It’s almost square, with a cathedral windows and a fireplace covering three sides, and the fourth side is open to the stairs and dining area. I adore all of the windows that open out to our backyard–we live on nine acres of mostly woods, so it gives us the most fantastic wooded view all year long. It adds to the coziness of the room, along with the fireplace. My foremost goal in this space was to make it comfortable and cozy. It’s our family room, and it’s where our family spends a lot of time together. It’s well-used, and with six kids, it gets a lot of use! I tend to be a minimalist in general–I like a really clean, simple space, and it’s just easier to maintain. I focused on adding comfy blankets, lighting, and a great chair–and it’s perfect! I started by adding a leather recliner for not only the extra seating space, but also for the richness and warmth it gave to the room. I wanted to find a recliner that didn’t look like a recliner…and I absolutely love this one by Better Homes & Gardens at Walmart. 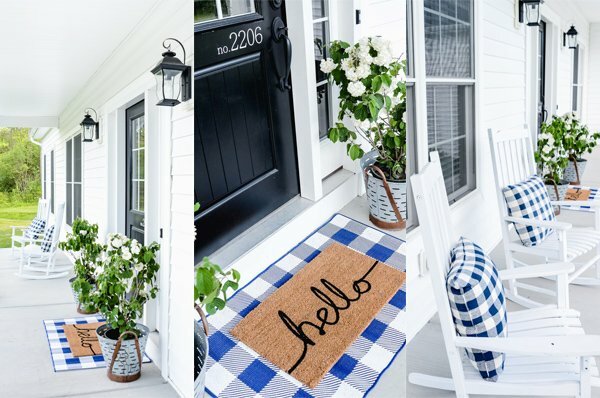 It fits perfectly with my farmhouse style, plus it’s super comfy. It’s already a huge hit with my kids–I need to make a seating schedule! I also found the cutest lamp! Lighting is really important–it adds style and function–and when I come across something I love, I snap it up. This floor lamp is perfection. One more thing that our family room had to have was a ton of blankets. I keep baskets in several corners of the room, and they’re always piled with our favorite cozy throws. It’s funny–even in the middle of the summer we’ll grab one at night when we’re watching a movie! They’re most definitely a must, and even better is when I find ones that aren’t only cozy, but super cute too! Such a difference just a few additions made…LOVE our Cozy Farmhouse Family Room!